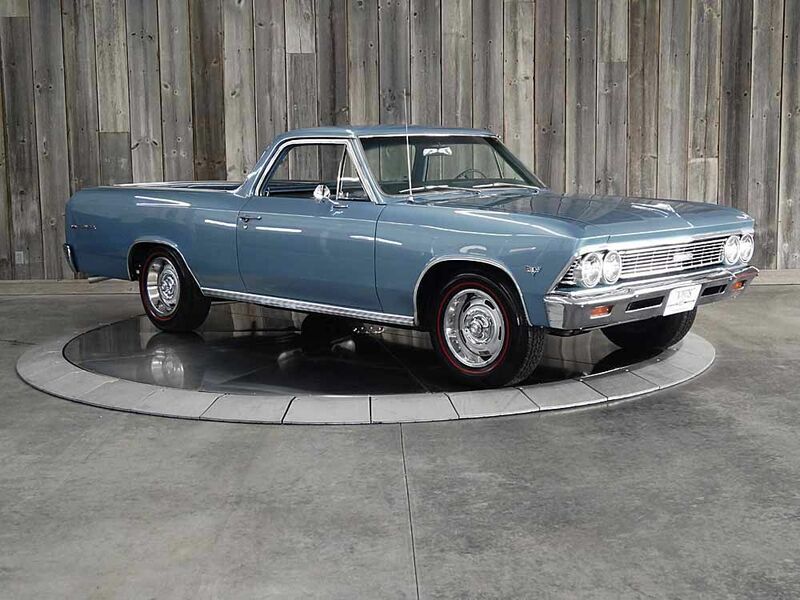 1966 Chevrolet El Camino, Beautiful, Detailed Restoration, Matching #s, Correct Colors. Super solid, never rusty truck from Oklahoma. Correct, born-with 283 V8. 83k miles shown is believed to be original. Original Protecto-Plate and manuals included. Factory optioned with A/C, which works and blows cold. Automatic transmission that shifts smoothly. 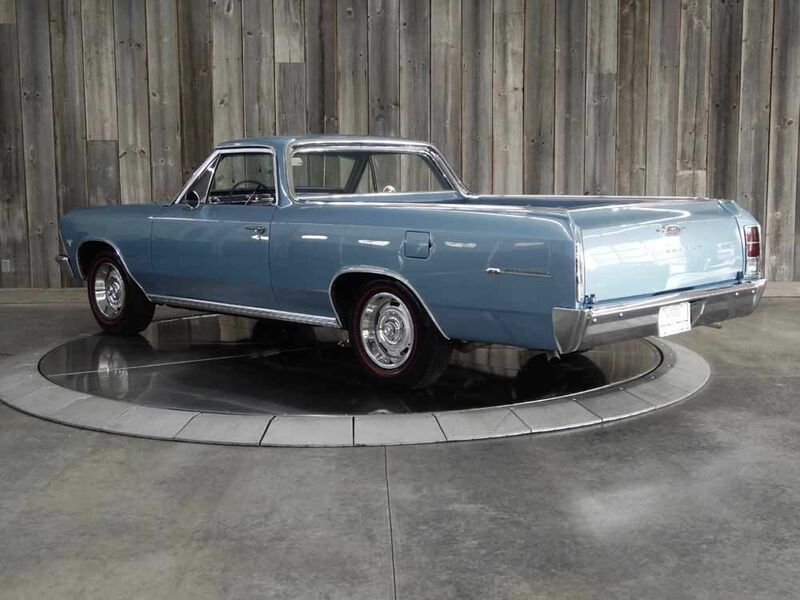 Power steering • Deluxe seat belts • Factory AM radio • Still retains all 4 factory T-3 headlights • High end factory correct “Mist Blue Metallic” paint excellent fit and finish. All new exterior chrome, including bumpers, bezels, handles, stainless trim, etc. New rally wheels, rings, caps, and Coker Classic Redline tires. Scratch/dent-free bed using color-matched paint over rock-guard protective coating. Rust-free tailgate, chrome hinges, works/latches perfectly. 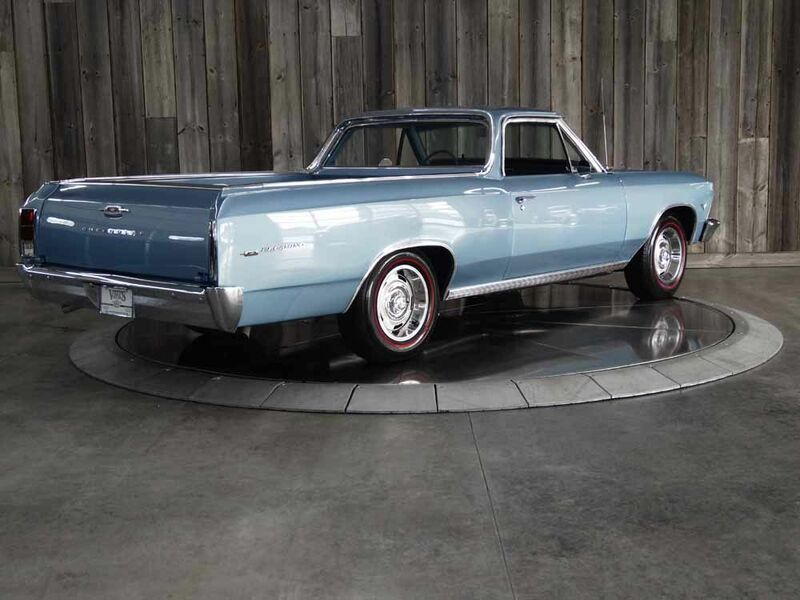 Completely refurbished interior, including correct medium blue seat upholstery, door panels, carpet, dash pad, headliner, dash chrome, sun visors, and steering wheel. New spare tire and rally wheel, with restored jack and hold down plate. New gas tank, Newly rebuilt carb. 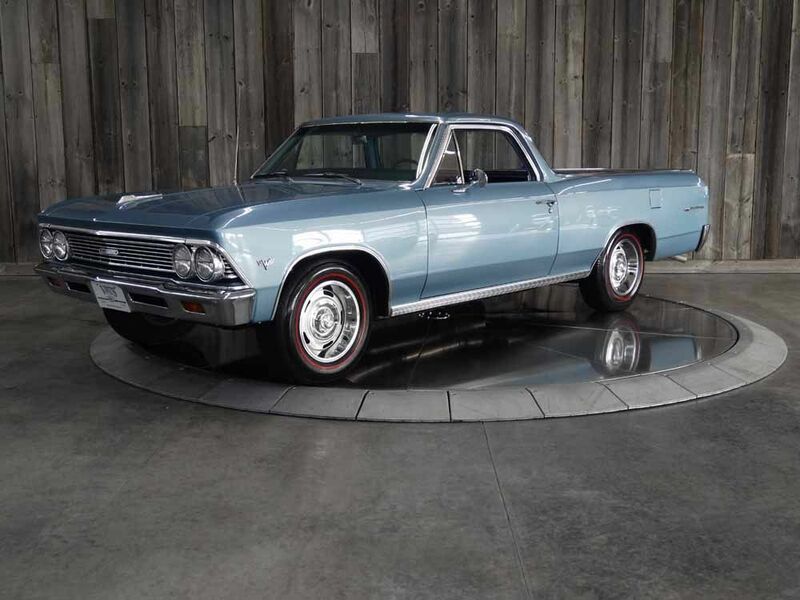 Starts, idles, runs, drives, stops, like a new ’66 Camino. New exhaust with Flowmaster mufflers (Sounds Fantastic) Perfect, rust-free floor pans, Cleaned/detailed underneath, but not so over-the-top that you’re afraid to drive it. All lights work (headlights, tail lights, parking lights, back-up lights) Wipers, Horn, and Turn Signals all work. This truck is done right. Rust-free, numbers match, great colors/options, and car show ready. 10k Approximate miles since restoration.